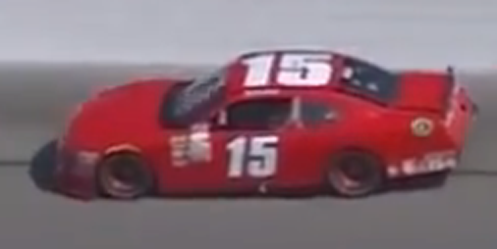 Matt Mills picked up the 1st last-place finish of his NASCAR XFINITY Series career in Saturday’s TheHouse.com 300 at the Chicagoland Speedway when his unsponsored #15 teamjdmotorsports.com Chevrolet fell out with a vibration after 3 of 200 laps. The finish came in Mills’ third series start. Mills has been racing since 2009, when he won rookie of the year in a go-kart circuit. He again earned rookie honors in asphalt modifieds and earned his first victory in 2013. 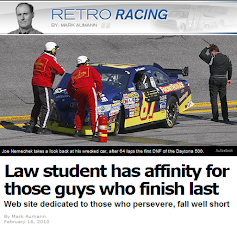 From there, the kid from Lynchburg, Virginia eyed a move to NASCAR through ARCA and the K&N Pro Series West before ultimately making his national series debut in the Truck Series race at Bristol on August 17, 2016. 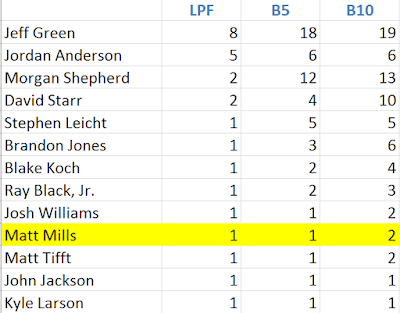 That night, driving for SS-Green Light Racing, Mills started 31st in the 32-truck field and finished 27th. He’s since improved on that twice over just this year, finishing 17th on two occasions with Faith Motorsports. With continuing sponsorship from Thompson Electric, Mills made his XFINITY Series debut this year at Phoenix, taking over for Jeff Green in B.J. McLeod’s #8 Chevrolet. Mills started 24th and finished 30th that day, which as of this writing stand as his career-best in the series. His next start came with McLeod the next month at Richmond, where he came home two laps down in 31st. Chicagoland would mark his first XFINITY start since then, and his first in NASCAR’s top three series since a “start-and-park” run for Jennifer Jo Cobb Racing at Pocono – but he wasn’t on the preliminary entry list. Saturday’s opportunity would come from Johnny Davis’ team JD Motorsports – specifically, the #15 Chevrolet, a “start-and-park” fourth team which Davis has had on hand since the July race at Daytona. Prior to Saturday’s race, the car had made just four starts, all of them with Reed Sorenson resulting in 38th and 39th-place finishes after 23 laps or fewer. The car failed to qualify at both Bristol and Darlington (the latter due to transmission issues), and was withdrawn another four times. 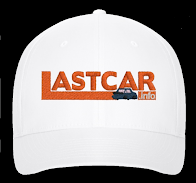 In fact, when the preliminary entry list was first posted, the car was already one of three already withdrawn (joining the #24 for JGL Racing and the #96 for GMS Racing). First tabbed to drive the car was JD Motorsports’ own Garrett Smithley, who was being moved out of his #0 so Vinnie Miller could make his series debut. The initial withdrawal of the #15 may have been because of the deal Smithley received to drive Motorsports Business Management’s #40 O.C.R. Gaz Bar Toyota in place of team owner Carl Long. However, in a week that saw the entry list shrink as small as 37 cars, then grow back to 39 with the late additions of Mike Harmon and Morgan Shepherd, the opportunity was once again there to fill the field. While some anticipated the return of MBM’s #72 Chevrolet, which served that role at Loudon with driver John Jackson, or Mike Harmon’s second entry, the #17 Dodge from Road America, the #15 was instead “un-withdrawn,” ensuring a full field of 40. With Smithley already signed to drive the #40, however, the driving duty fell to Mills. 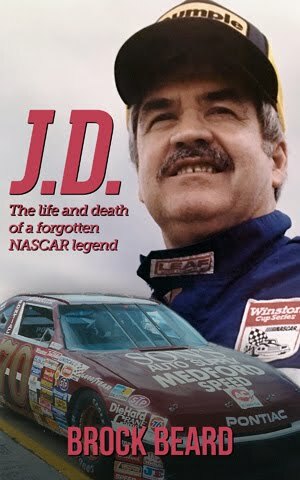 His red Chevrolet would have white numbers on the doors and roof, a departure from the yellow numbers used on Davis’ #15 previously. Mills didn’t participate in Friday’s opening practice, and started but failed to complete a lap in Happy Hour after he got loose in Turn 2 and slapped the wall with the right-rear. His first completed lap of the weekend came in qualifying, where he ran a lap of 152.203mph. Though more than two seconds off the pace of the next-slowest car of Mike Harmon, the 40-car entry list guaranteed that Mills would start Saturday’s race. 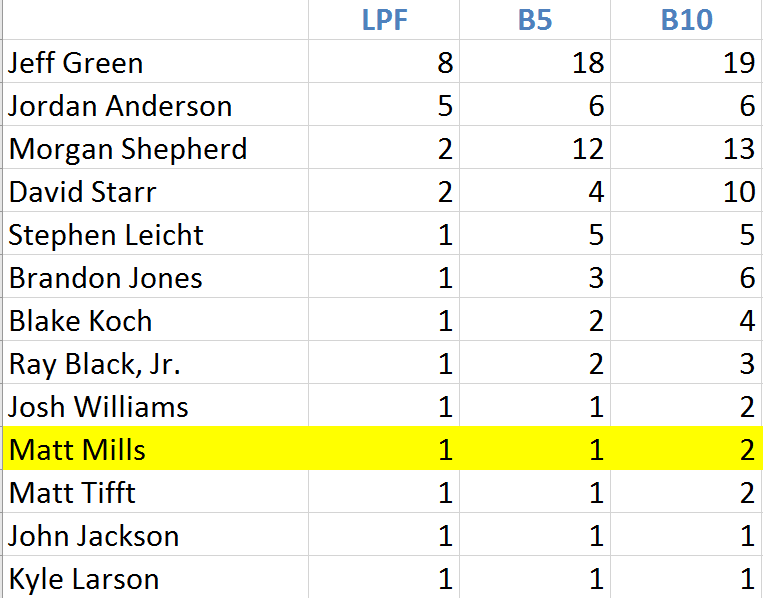 That race didn’t last long, however, as Mills pulled his #15 behind the wall under green on Lap 4. Finishing 39th was Jeff Green, who missed out on his 98th series last-place finish by five laps. With seven races to go, Green retains a three-finish lead over Jordan Anderson, who hasn’t run an XFINITY Series race since June, and is still on track to break a tie with the late J.D. McDuffie for most LASTCAR titles by a single driver in NASCAR history. Morgan Shepherd next pulled off in his #89 Visone RV Chevrolet, followed by MBM teammates Garrett Smithley and the #13 O.C.R. Gaz Bar Dodge of Timmy Hill. 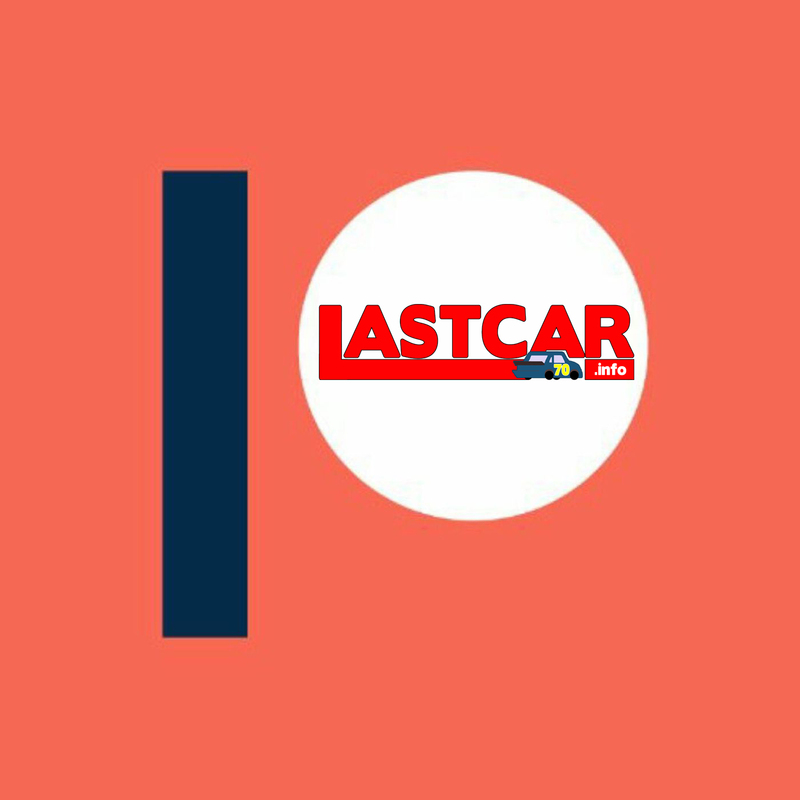 *This marked the first last-place finish for car #15 in an XFINITY Series race since July 23, 2016, when Todd Peck’s #15 Keen Portable Buildings / Momo Ford had engine problems on the first lap of the Lilly Diabetes 250 at Indianapolis. The number had never before finished last in an XFINITY Series race at Chicagoland.